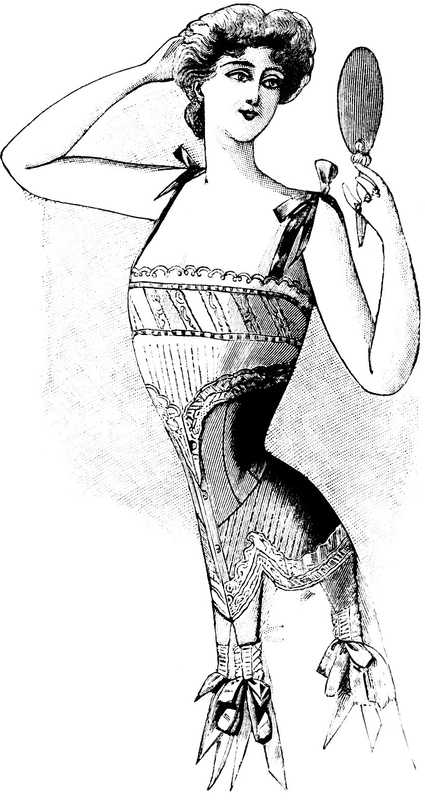 Image cropped from a vintage advertisement for corsets from Le Petit Echo de la Mode (Dec. 15, 1901 issue). Courtesy of the Old Design Shop. to the back of a chair? to some a turn on). I was on Charing Cross Road recently. Swept up in the usual bustle of traversing a London pavement, I kept mindful of my step and the other walkers as we congested around a buggy that had stalled the flow. A scrap of paper under someone’s heel caught my attention. It was a flyer for the services of Nicole, Fully Experienced. Nicole’s imagined experience inspired today’s poem.